A report issued last week by the Intergovernmental Panel on Climate Change (IPCC) is alarming and unsettling, but it also reiterates the need for climate champions across all levels of government. Simply put, we’re running out of time to prevent the worst impacts of a rapidly warming planet, and we must act even as the White House and congressional leaders refuse to. While the Trump Administration is busy rolling back federal greenhouse gases regulations and pulling back from the international stage, our states are stepping up. In addition to California’s climate leadership, four governors up for re-election, or currently in office, have put their states at the front of the pack. Their commitment to protecting our environment has never been stronger. 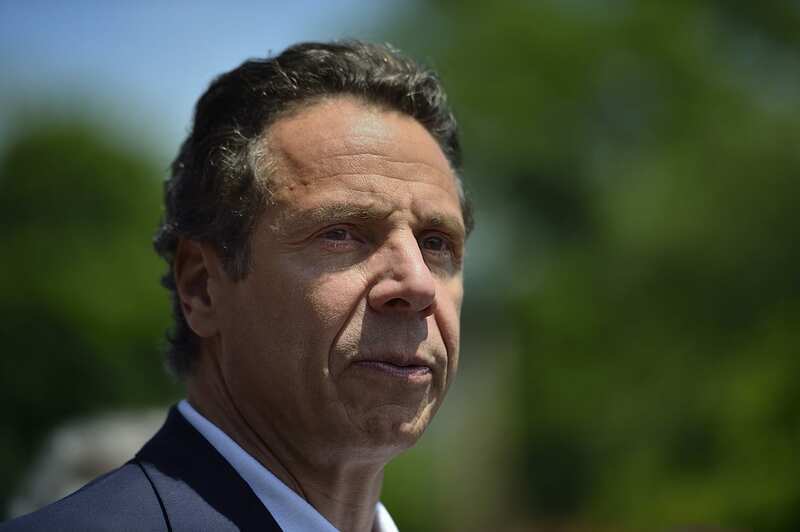 Since day one, Governor Andrew Cuomo has picked up the mantle of leadership — from banning fracking in 2014, securing a $2.5 billion clean water infrastructure investment, establishing the historic Clean Energy Standard, setting New York State on a path to achieving 50% renewable energy by 2030, and accelerating energy efficiency, his commitment has ensured a cleaner, greener New York for generations. And as the federal government threatens to open our waters to oil and gas drilling, Governor Cuomo is aggressively fighting back, advancing commonsense legislation to ban offshore drilling and protect New York’s coastal assets. This leadership at the state level is especially critical now, in the wake of a new U.N. report warning the worst impacts of climate change will arrive much sooner than expected if we don’t take bold and immediate action. The days ahead will no doubt present new challenges, but with strong partners like Governor Cuomo fighting against fossil fuel interests and standing up for our children’s future—we can overcome them. Oregon became the first state to envision a future without coal-powered electricity when Governor Kate Brown signed the nation’s first “coal-to-clean” law, which will completely phase out dirty coal power by 2030 and double Oregon’s reliance on renewable energy by 2040. Since taking office in 2015, she has defended and implemented the clean fuels program which gives consumers more fuel options and reduces pollution from cars and trucks stood up to Big Oil and signed a law that bolsters the use of cleaner-burning vehicle fuels in Oregon. Governor Brown signed bills requiring engine upgrades for school buses, instituting mining protections for river habitats statewide, and established the Cleaner Air Oregon program. For eight years, New Jersey sat on the environmental sidelines, but Governor Phil Murphy is making New Jersey one of the shining lights. In just 10 months in office, Governor Murphy signed an executive order to restore the state to the Regional Greenhouse Gas Initiative (RGGI), a multistate effort to reduce carbon emissions through a cap-and-trade program; supports a ban on fracking within the Delaware River Basin, which supplies water to more than 15 million people among four states; and removed the state from a lawsuit challenging President Obama’s Clean Power Plan. Committed to making the state a renewable energy trailblazer, under Governor Murphy’s tenure, New Jersey’s public utility has opened the largest single-state offshore wind solicitation in US history. Governor Jay Inslee has spent a career dedicated to driving environmental action and transitioning Washington state to a clean energy economy. Governor Inslee is an advocate for ballot initiative 1631, which would cap carbon emissions and invest in new clean-energy infrastructure, renewable energy, public transit, and rural broadband that would help people tele-commute and drive less. He is a model for positive pro-climate leadership in the face of divisive opposition.